Do you know when you should hire an animal cruelty criminal defense lawyer Plano TX? Facing accusations of animal cruelty can be devastating for many people. This is especially true for parents or those who are animal lovers. Allegations of cruelty can come from many places, including vindictive neighbors. It is important to hire a lawyer as soon as you suspect you need one. Plano and all of Texas’ animal cruelty laws are quite harsh, with strict fines and penalties imposed in many cases. Self-represented individuals do not often do well when faced with these types of charges. Failing to understand the system in detail can be detrimental to many people. While judges and juries are not supposed to allow personal bias to interfere, they often do. As a result, it is up to you or your lawyer to advocate strongly on your behalf. If you are looking for a Texas-based animal cruelty lawyer, contact Kent Starr today. He has over 20 years of experience successfully defending clients in criminal court. Kent Starr is passionate about defending your rights. He brings a much-needed level of aggression to every defense. Contact him by calling 214-982-1408 today and arranging a free consultation. He is happy to discuss the merits of your case with you, risk free. You can also contact him by visiting his website at https://criminaldefenseattorneyplano.com. Texas’ animal cruelty laws are some of the harshest in the country. The code itself is very vague. This was done on purpose, to allow for easy convictions for weak cases. Some people may think that animal cruelty is never justified. However, even if you are attacked, the laws still prevent you from fighting back. As a result, you may find yourself charged with animal cruelty after receiving extensive injuries from a wild animal. The penalties and fines imposed vary depending on the specific crime in question. Most jail sentences range from 2 to 10 years, with accompanying fines of up to $10,000. In addition, the media often sensationalizes cases like these. You could wind up in jail, with a fine, and facing a ruined reputation. A skilled lawyer can successfully argue your case in court while mitigating the impact to your personal life. People who try to represent themselves often fail, winding up with strict sentences despite the facts of the case. Avoid risking your future by hiring Kent Starr today. Contact our friendly office staff by calling 214-982-1408 and asking for your free consultation. Kent Starr is a fearless defense attorney, who aggressively fights for the rights of his clients. Visit our website at https://criminaldefenseattorneyplano.com to learn more. Hiring a Plano-based animal cruelty criminal defense lawyer is the best way to ensure your rights are protected. Make sure you search for someone with this particular specialization. Not all criminal lawyers are well versed in this very specific area of law. Hiring the wrong lawyer could have disastrous results; ones that impact the rest of your life. Clumsy or imprecise arguments often wind up in jail time for the offender. Animal cruelty lawyers understand how to get around the very emotional aspects of the issue. Prosecutors often use heart-tugging phrasing and imagery when arguing these cases. You need a skilled lawyer in your corner who can help a judge and jury see past those tricks. Residents of Plano can contact Kent Starr for their animal cruelty defense needs. He understands how to navigate this tricky legal situation. With over 20 years of experience in criminal law, he is familiar with the court system. 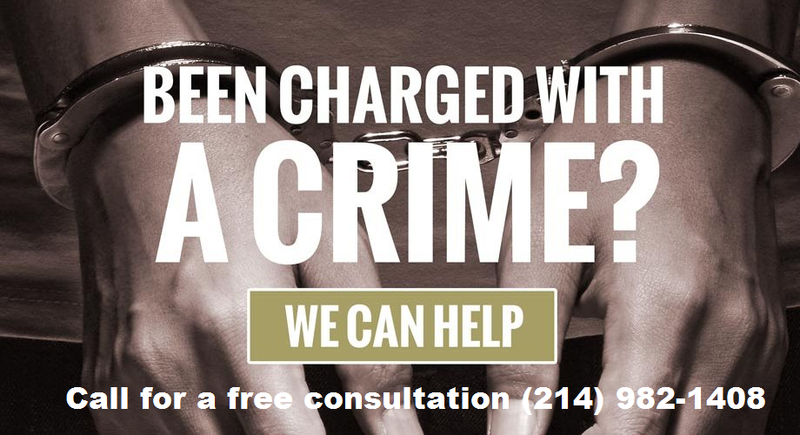 New clients can contact our office by calling 214-982-1408 or visiting http://www.criminaldefenseattorney.com. Kent Starr is happy to meet with new clients for a free consultation. You can discus your case with him at no risk to you. There are a few strategies your animal cruelty criminal defense lawyer in Plano may employ to help your case. Lawyers always meet with their clients as often as possible to build the best defense. You can expect your attorney to discuss potential strategies with you, as well as ask for feedback. Never be afraid to ask questions or look for clarifying details. It is important that you understand the case mounted against you. Experienced lawyers also understand how to properly question a potential jury. It is crucial that each member be screened for any possible bias. New attorneys and those without extensive experience in criminal courts are unfamiliar with this practice. As a result, opting to save money by going with those options can backfire. Instead, search for a skilled lawyer who specializes in matters like these. If you live in or near Plano, you can contact Kent Starr today. Our staff members are happy to arrange for free consultations. Contact us today by calling 214-982-1408 or visiting online at https://criminaldefenseattorneyplano.com. Kent Starr has over 20 years of experience successfully defending clients in criminal court. He passionately defends the rights of all clients, regardless of offence. Other, larger firms often pass along cases to junior staffers. In some cases, they may outsource the matter entirely. Kent Starr always handles each case personally, from start to finish. Contact him today to find out how he can help you. There are a few steps to hiring an animal cruelty attorney in Plano, TX. The first one involves searching for a skilled and reputable lawyer in Plano. You should focus your search on finding an advocate who specializes in animal cruelty law. Other lawyers may not be as familiar with this unique aspect of criminal law. Residents of Plano can contact Kent Starr for their animal cruelty law needs. He is passionate about his clients and approaches each case without bias or prejudice. Kent Starr’s only concern is helping you attain or maintain your freedom. You can learn more by visiting him online at https://criminaldefenseattorneyplano.com. Potential clients can also call 214-982-1408 to book a free consultation today. If you are looking for an animal cruelty attorney Plano TX, contact Kent Starr today.